Easy Go Hostel kohteessa Vang Vieng, Laos: Varaa nyt! Love love this hostel! 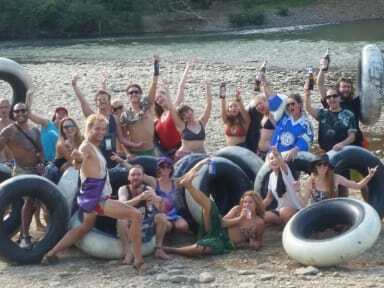 I was suppose to stay in Vang Vieng only 3 nights but I stayed in easy go for seven days! Great atmosphere, a lot of dogs and kitty named Sparkle (miss that kitty) and staff is really nice. Place felt like home after two nights. Only thing the could offer is warmer blankets in main building, I was freezing by night.